Hello there! 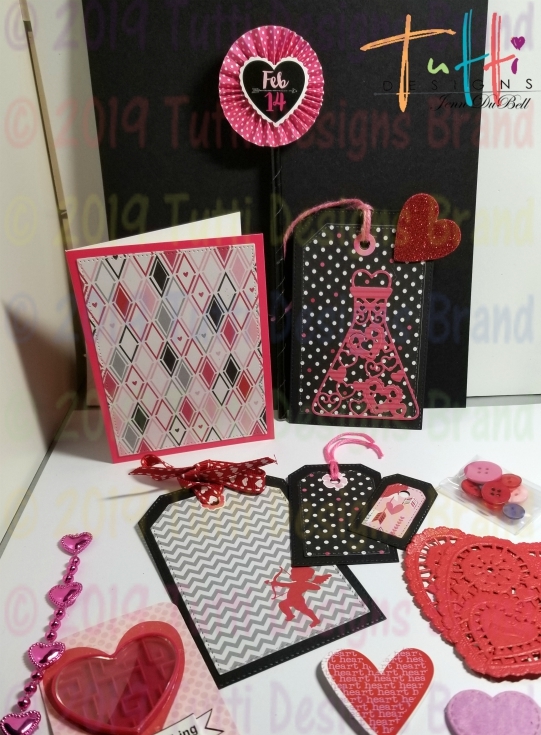 Jenn here today sharing my loaded Valentine's Day tag using the amazing dies from Tutti Designs! 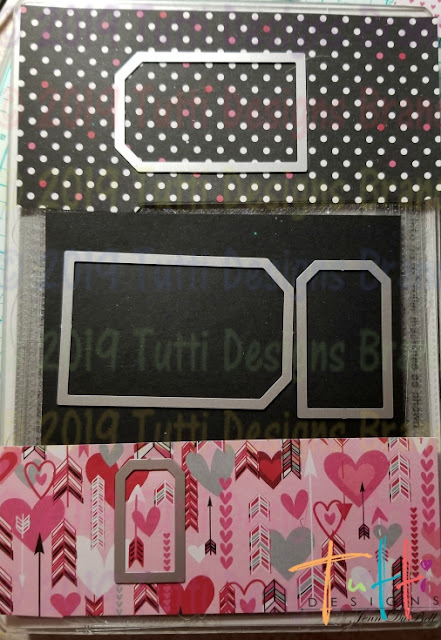 For starters, these loaded tags look way more intimidating than they are to create! This is my first. To create my base I used a #12 size giant black tag and three envelopes. 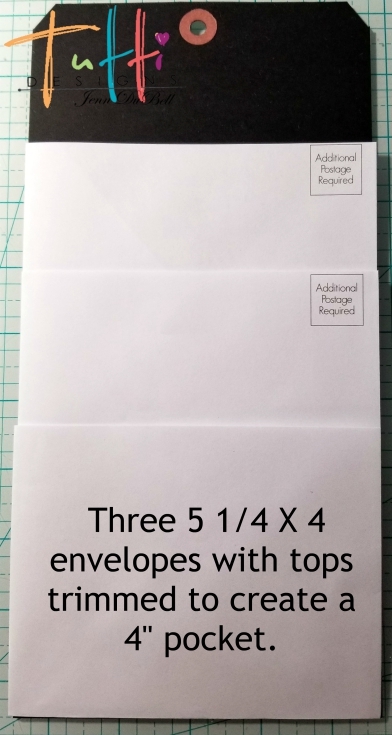 The envelopes started as 5 1/4 X 6 and I cut the tops of at the opening to create 5 1/4 X 4 pockets. I lined them up on the tag to ensure a good fit as shown below. Next, using patterned paper in different designs (Valentine's themed) I cut a total of 4 of the largest Dotted Nesting Rectangle Die. Also 3 black mats were cut at 3 3/4 X 5 and adhered to the front of the envelope pockets. 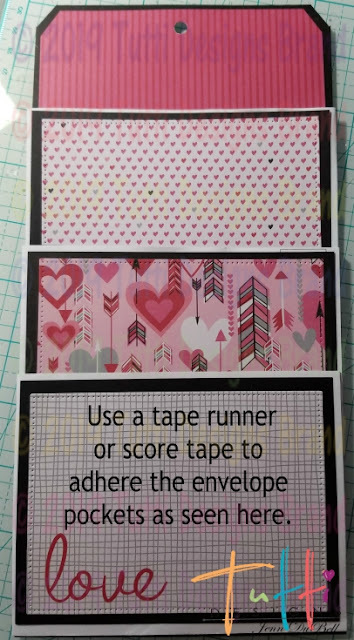 These were then layered with three of the die cut rectangles. 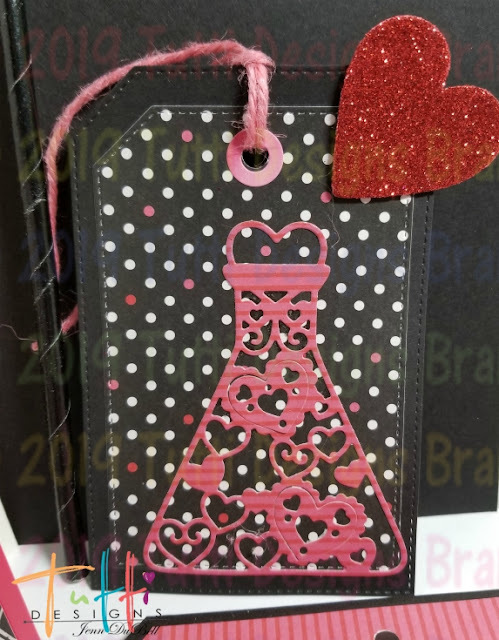 A piece of patterned paper was also cut to fit the top of the tag. This is optional of course. 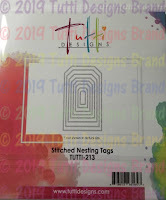 Next the three matted and completed pockets were adhered to the tag cascading from top to bottom as shown below. 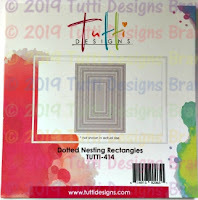 Be sure to space them evenly apart and only adhere the bottom and sides leaving the top open to stuff! 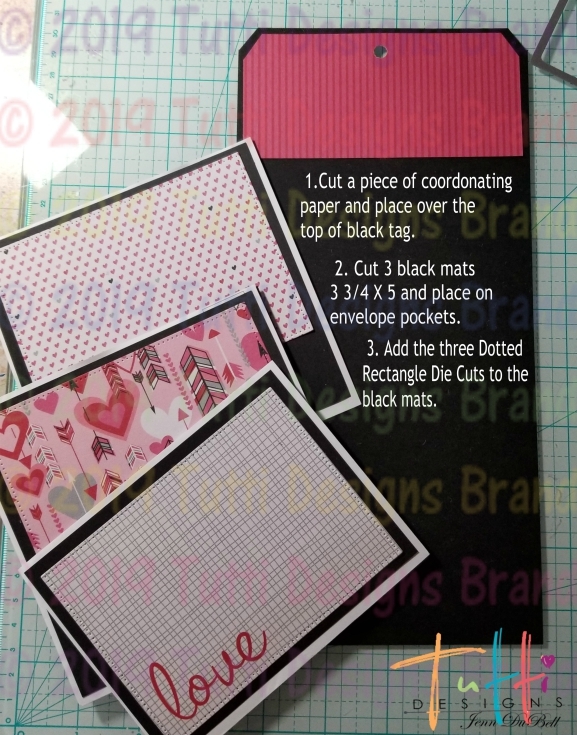 Create tags using scraps of the themed paper and the Stitched Nesting Tags dies. 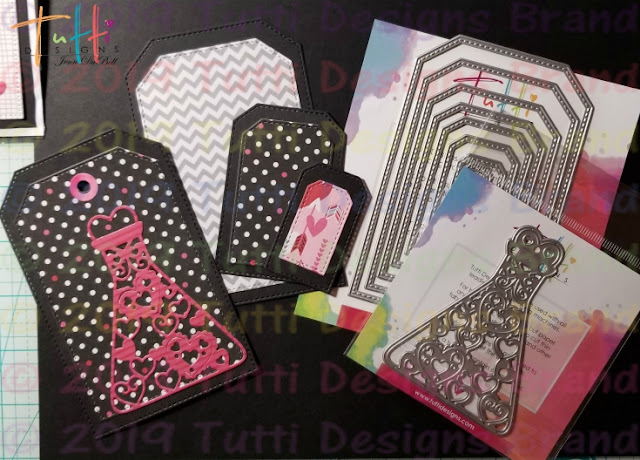 Create various sizes and create a black mat for each by using one size bigger die. 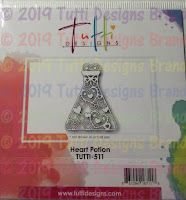 I used the newly released Heart Potion Die to create one of my tag embellishments. When using this die keep the hearts that come from the die and use them to embellish other areas as seen below. 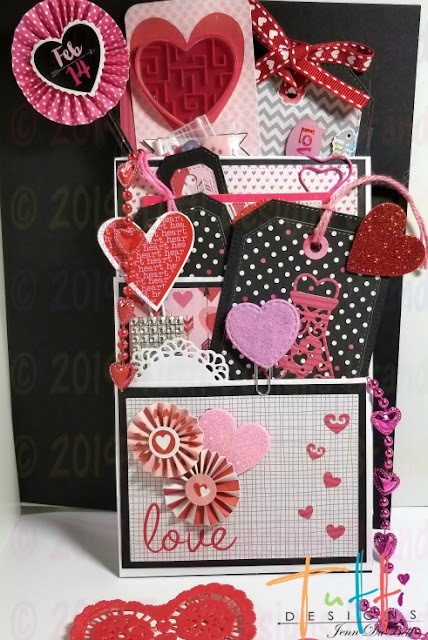 Add embellishments, tags, cards, photo mats, pinwheels, etc. to stuff the tag! 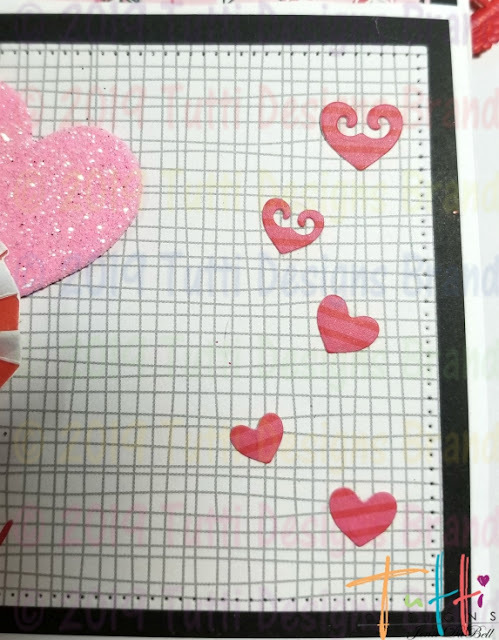 This was such a fun project and will make a fun gift too! !